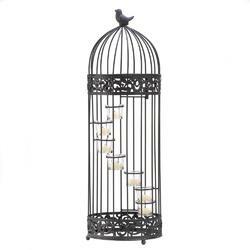 A little bird sits atop this darling cage that houses spiral stair-stepped tealight candle cups. 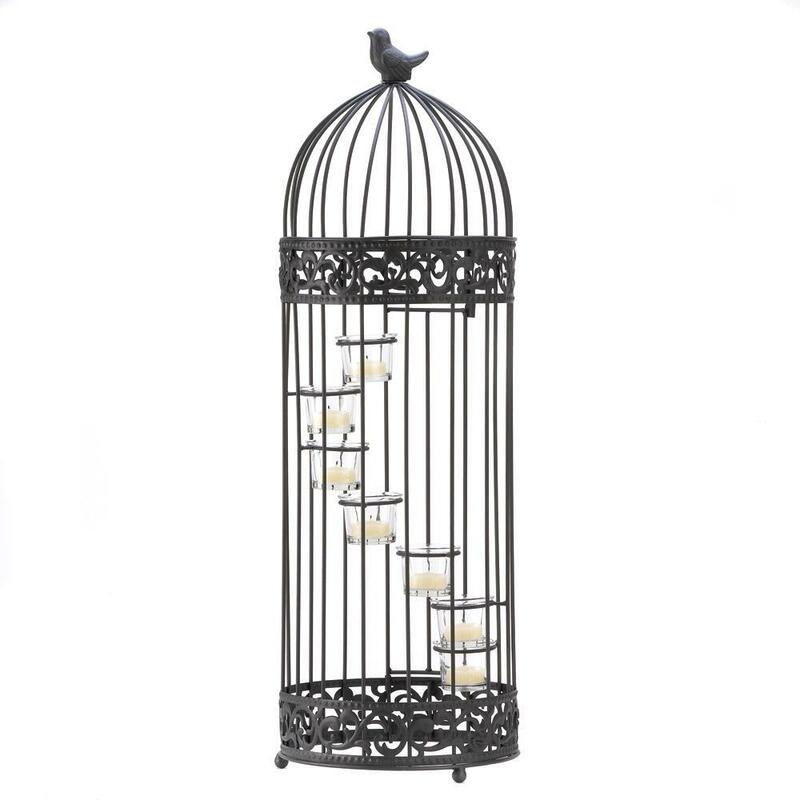 Birdcage door provides easy access to the candles. Candles not included. Weight	4.7 pounds. 9" x 9" x 28". Glass, Iron. UPC Number: 849179001469.